New Girl – Season 2, Episode 2 – Jess (Zooey Deschanel) pretends she's someone else when a handsome stranger mistakes her for his blind date. Meanwhile, a patron at Nick's bar claims to be Nick from the future, and Winston's disapproving mother pays him a visit. 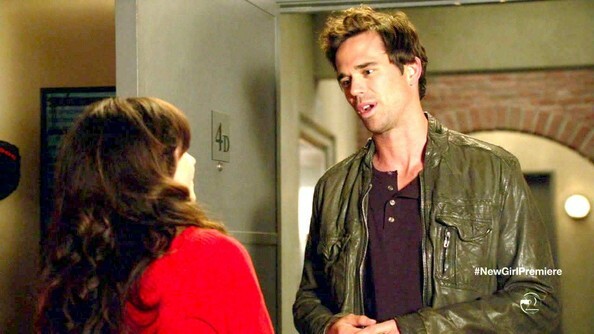 David Walton attempted to woo Zooey Deschanel on 'New Girl' in an olive collarless leather jacket.